A young girl reveals how a little positive thinking can make a big difference. Every dark cloud has a silver lining--and young Pollyanna knows how to find it. Newcomer Georgina Terry makes a stirring debut as Pollyanna in this heartwarming tale of a little girl whose effortless charm captures the hearts of family, friends, and strangers alike. After the death of her father, Pollyanna moves in with her downcast, embittered aunt (Amanda Burton). 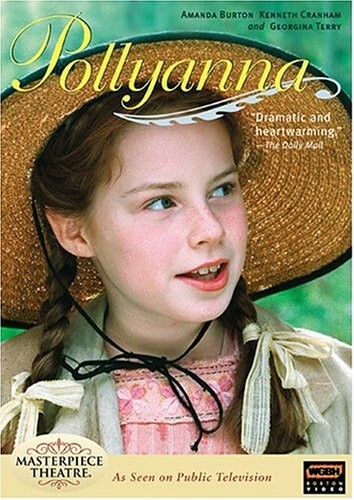 Soon, Pollyanna charms everyone in the beautiful English village she now calls home -- except her cold-hearted aunt who refuses to see the brighter side of life. Aunt Polly, despite her vast wealth, impressive estate, and numerous servants, treats young Pollyanna more like an stranger than a relative, but when tragedy strikes, Pollyanna's sunny outlook persuades her aunt to confront past ghosts and embrace the promise of happiness. Based on the classic novel by Eleanor H. Porter, Pollyanna is a treat sure to be treasured by the entire family.